John Cena & Nikki Bella. Photo: thenikkibella/Instagram. 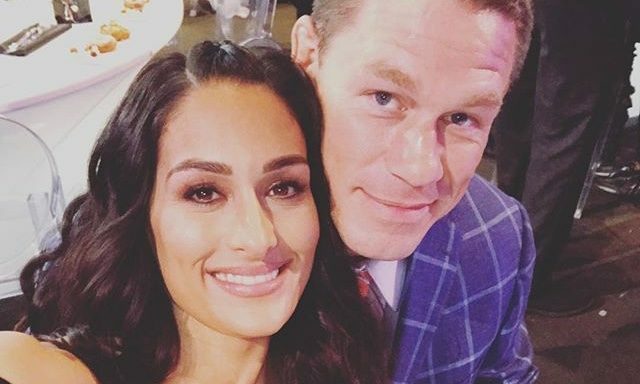 In celebrity wedding news, Nikki Bella is growing apart instead of closer to John Cena. What are some red flags that should make you re-think marriage to your partner? 1. You’re always fighting: If leading up to the wedding, you and your partner are constantly fighting, then it might be because something in your relationship isn’t truly right. Wedding planning is stressful, but it should also be a fun and happy time and you and your beau should be excited, not constantly bickering. 2. You’re not excited: Leading up to your wedding, you should be excited about marrying the love of your life. If you’re not, it might be because you need to re-think marrying your partner. You want to make sure you are 100 percent committed to your relationship and want to spend the rest of your life with your partner. 3. You have to give up things that are important to you: If marrying your fiancé means that you have to give up things you really care about in life, like your career, relationships with friends and family, or lifestyle choices. Yes, marriage requires compromise, but it shouldn’t mean you have to give up the things you love. Know any more red flags that should make you re-think marriage? Comment below!